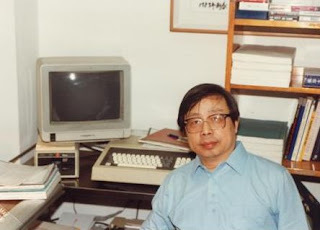 The day after the Tiananmen Massacre in 1989, Professor Fang Lizhi and his wife Li Shuxian took refuge in the American Embassy in Beijing. The case soon became a focal point in the struggling Sino-US relationship. The Chinese government delivered a 14-point accusation of Fang Lizhi's "crimes" to the Embassy as the initial step of negotiation. The accusations revealed that Fang Lizhi's residence had been monitored and his phone bugged during the entire movement. Fang Lizhi made detailed response to each accusation. After President George H. W. Bush signed an order to allow Chinese students stay in the US regardless their visa status as a protection, a Chinese official sermoned the US Ambassador for an official protest. An hour later, the secretary of the official called the Ambassador's secretary to plead a US visa guarantee for his wife. After four months of vigorous protest, the Chinese government signals a willingness of negotiation in October, 1989. The initial conditions were passed to former President Richard Nixon and Henry Kissinger, who were visiting China at the time. Negotiations continued in November and December and cumulated in a state visit by Bush's aid Brent Scowcroft, who came to Beijing with the intention of taking the family to US. But the negotiation broke down at the last minute when China demanded an end of international sanctions. Fang Lizhi continued his scientific research work in the embassy. 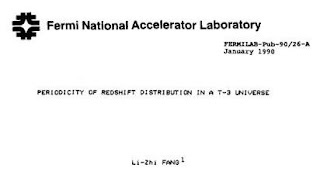 In fact, he published a preprint in the Fermi Lab with a temporary mailing address of the US foreign service. After the publication, he received many books and journals from his international colleagues. The work for the paper was performed on an old Apple computer left at the embassy. Because the Chinese government was eager to have sanction lifted, Fang Lizhi had the upper hand in the negotiation of his release. He refused to make "confessions," admit guilt, or appeal for "leniency" but only applied to travel abroad on humanitarian grounds. There were strong indications that Deng Xiaoping took a personal interest in these negotiations through the entire process. Li Shuxian disagreed with a part of the statement Fang Lizhi had written. She only signed on two of the three points her husband had signed. As a mother, Li Shuxian secured a guarantee of their second son's safe passage abroad as a condition of their release. At the farewell party at the embassy, Ambassador James Lilly told Fang Lizhi a secret: the US was aware of how Feng Congde and Chai Ling escaped China, "from the beginning to end." Feng Congde had maintained that their escape did not receive any help from abroad.